How to post new and reply to topics. 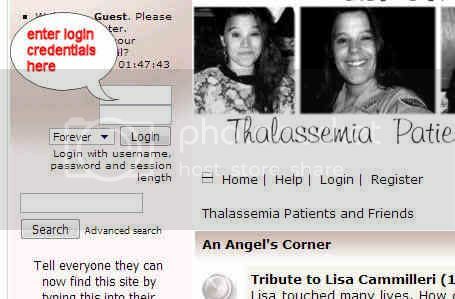 Thalassemia Patients and Friends / Discussion Forums / Announcements / How to post new and reply to topics. 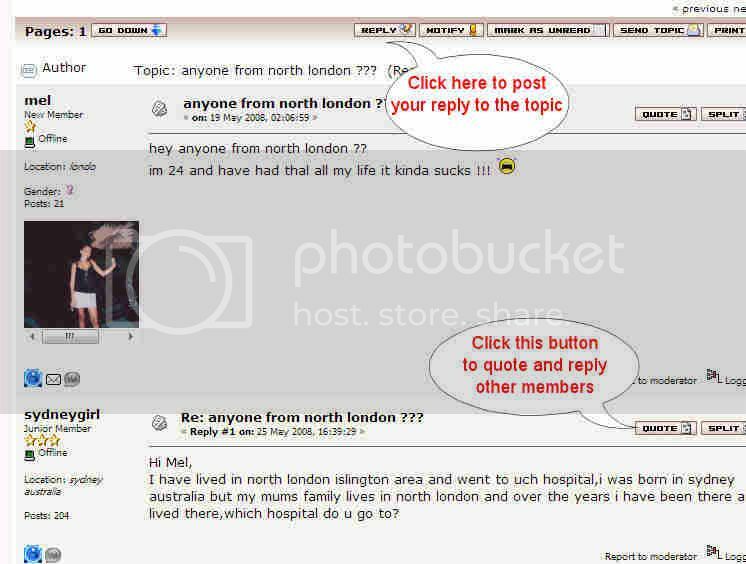 Re: How to post new and reply to topics. Way to go, Sajid. You did such great work while you were on this earth and I know you are doing even better work up there in Heaven with our creator. I hope you have beautiful angel wings now, so you can fly down and keep an eye on us, brother. You were like a little brother to me the way we used to go back and forth all the time, like siblings. You frustrated me at times, but then made me laugh so hard that I forgot all about what you stressed me over. And that was our friendship, and I was happy that way. I wanted him to be here forever with us... but I guess he had better plans to be in paradise. Please save a spot for me up there, Sajid! Wait for me! Meet me at the gates with Lisa and Ash so that I won't be so scared. Help me transition from this life easily and painlessly when the times comes, please, I beg you guys. I know this doesn't belong here, but I wanted to make a statement about how much Sajid helped this forum, and this thread was a perfect example of his doings. Now I know we have other members here that contribute their time and effort as well, and this is why I need to say this, because I will be telling you guys what a great job you are doing NOW. I don't want to wait until someone else passes for me to tell them they did a spectacular job. So, please forgive me for being so absent and ignorant. You guys are the best and I love you all. I also want to say that Andy has done the best job he could possibly do with everything else that's going on in his life and he continues to selflessly help others, and I commend him for that. I don't think this forum would still be standing if it wasn't for him holding up the fort continually. We have the best group here, and we all need to stick together and help each other through the good and bad. He always found a way to help everyone - and he did is so well. I don't know when we'd be able to come over our grief, if ever? Like Danielle said,it's better to say what you should say with out waiting for any bad news,so what i wanna say is I LOVE YOU ALL . And Andy ,i don't have words for what you are doing here for us,it's above me that any person can be THAT comitted to something,if ever i face a problem with my daughter,i always think about asking you,not even her doctor.So A huge thanks for being there for us,Your posts always stand on the forum like a light house for the lost parents or patients. Thanks Zaini. Knowing that it helps is what keeps me going. You are warmly welcome Andy,and i am here if you need any help,i'll do what ever i can,what ever is in my reach. Zaini sis said ... i am here if you need any help,i'll do what ever i can,what ever is in my reach. You guyz are doing a great job. i haven't seen more committed people than you all. u know in real world commitment is usually bought if you know what i mean, but you guyz are amazing, always there to help. most of the people here haven't met each other in real, but the way you talk to each other, help and support each other, is priceless and undescribable, hats off to you all. The one who kneels to Allah, can standup to anything. If I may ask, what happened to Sajid? He does seem to have put a lot of time and effort into this forum. May God reward him for all this and provide him with a place in Paradise, Ameen! Sajid was our dearest member and friend,always there to help,he was our global moderator too,he was 27 years old ,last september he had a heart failure,he was contantly fighting with his high iron levels,ferriprox didn't suit him and desferal had some availability issues,but he was always cheery and there to help us out. If you'll read his posts on the forum you'll see how caring and loving person he was. You can check this thread about him . We still miss you,i still sometimes read your old posts when i am panicked and somehow i get some comfort in them,you'll always remain in our hearts. I don't talk about this a lot, but Sajid was my protege and was an eager student. Perhaps I don't talk a lot about his passing because I look at it as a failing in some ways. Many of us really tried to help him but he always refused and said others needed help more than he did. Well, he was wrong and I saw his death coming and could do nothing to stop it. Perhaps if I had been more adamant as I have been with Umair, I could have done something. I'm not blaming myself, but it does hurt a lot to realize that if I could have gotten him to accept help, that he might sill be with us today, enriching our lives with his humor and perspective. He is missed more than any of us can express. I know I'm not the only one here who can't type about Sajid without the tears flowing.